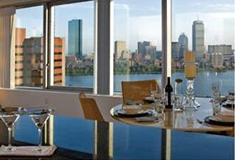 The Watermark Cambridge is a luxury apartment community constructed in a magnificent 23 story building. The Watermark contains 321 units ranging in sizes. 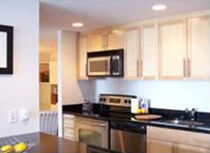 This beautiful complex is located only minutes from MIT and Kendall Square. • Large windows offering panoramic views of the Cambridge area. • Hardwood flooring throughout each apartment. • Modern kitchens with islands and stainless steel appliances. • Majority of utilities included in rent. Amenities may vary in the apartments. • Business center and conference room. The Watermark Cambridge community is pet friendly. In fact, the concierge service has pet treats available around the clock for your pets and all pets receive a move in gift with Watermark tags. 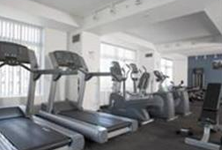 Pet stations are located throughout the property to hele ep your pet healthy and the property well maintained. The Watermark Cambridge is an exclusive apartment community that is making every effort to provide a green environment. Energy saving appliances are installed in all of the apartments, sustainable products are used throughout the community, and the landscaping was designed in an eco-friendly manner. The Watermark is only minutes from MIT and public transportation. This convenient location is also near a large array of dining options, entertainment venues, and shopping. 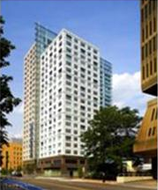 It is considered a premier location to live in the Cambridge area.